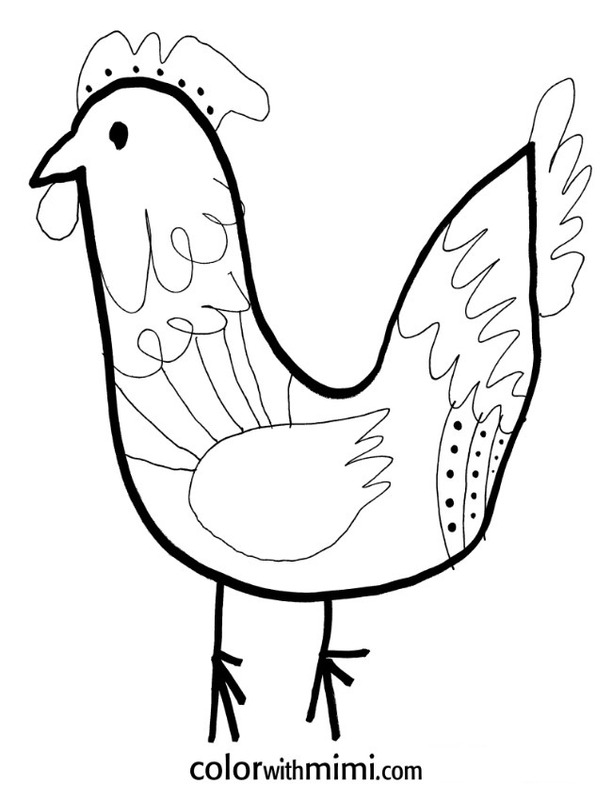 We are really excited about bringing these spring coloring pages to you and your kids. 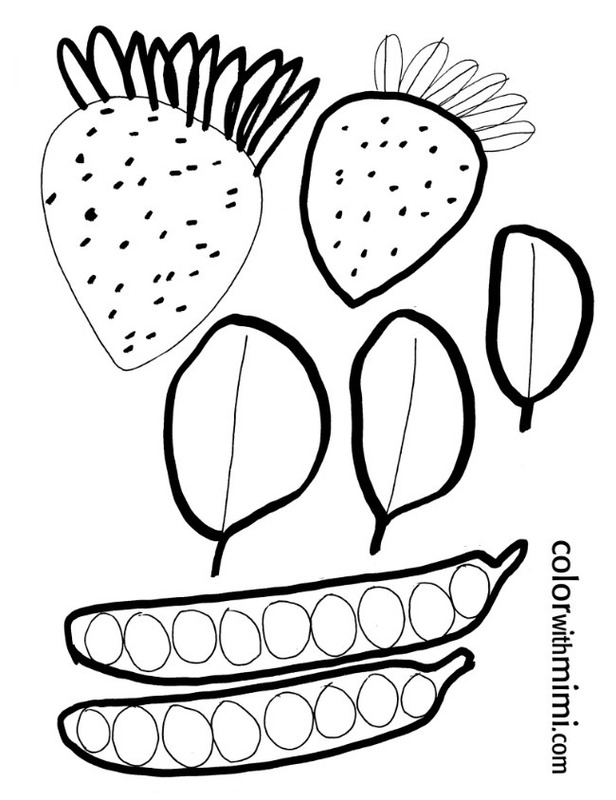 They were designed by Mimi of Color with Mimi especially for Kids Activities Blog. 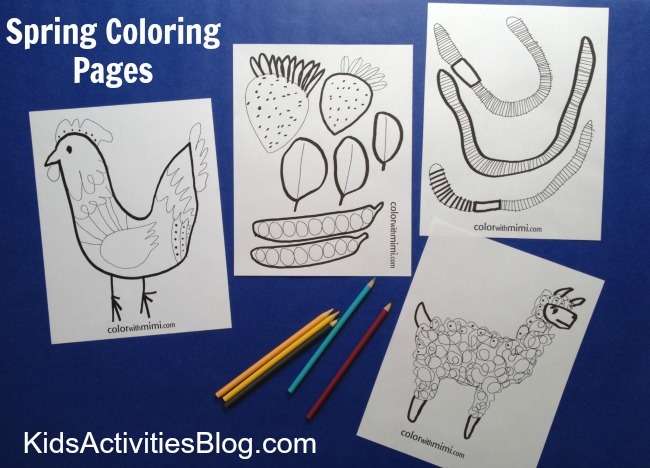 I instantly fell in love with Mimi’s art to color…and know you will too! 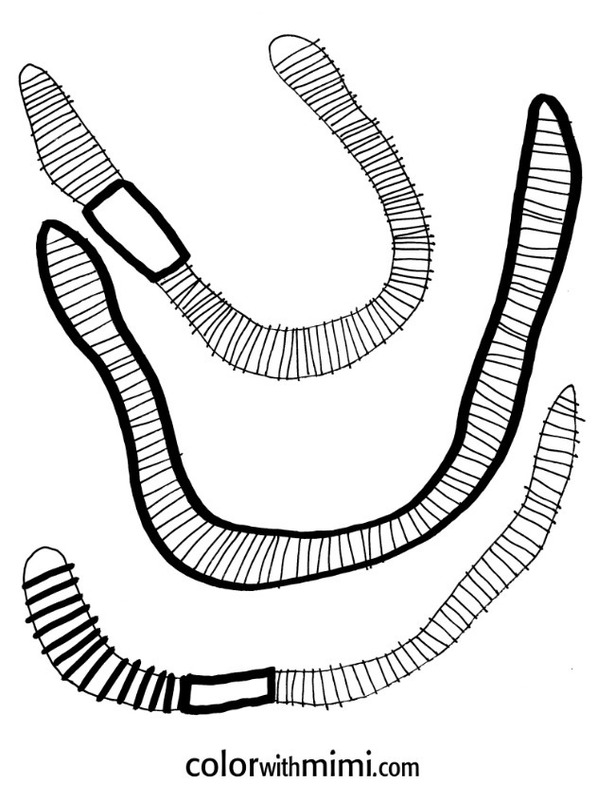 And last, but not least worms to color! 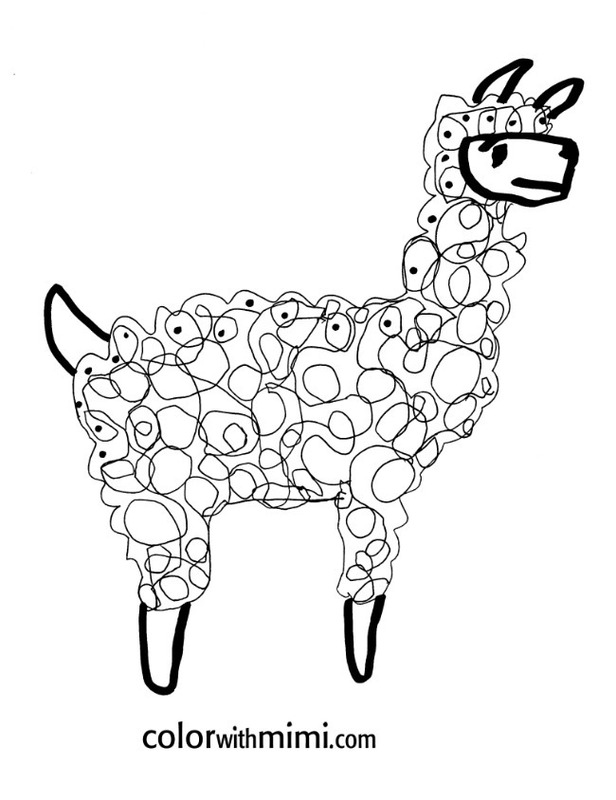 To print these artful animals, simply click on the picture or the link below each picture. Mimi received her MFA from the School of Visual Arts in Manhattan. She lives on a farm with her husband, our pup, mini bunny, and chickens. She loves animals, being out in nature, growing food and making recipes. Color with Mimi was inspired by her niece. They enjoyed drawing and coloring together. She started the website after her niece moved away to North Carolina. This way she could still enjoy coloring with her even though they lived a long distance apart. Each month Mimi creates and shares twelve new pages and anyone can print them for free. We’re big Worm Farm fans, so I’m loving this set. Thanks!